How are you dear readers? How's your weekend? Forgive me for not updating our Precious Hearts Pages giveaway, I just came back from Baguio where we spent four days eating. Because I thought, the weather is almost the same here in Manila, I packed light and brought only summer clothes - shorts, above the knee skirts (well, have you noticed I rarely wear jeans since I had my abdominal surgery last year) and sleeveless top. So, on our 2nd day in Baguio I started to feel my throat hurts and dry. The next day, I got colds. However, I did not allow the situation to ruin my trip, I always have medication on hand, I just forgot to bring some vitamin C, lol! Anyway, I would like to share the OOTDs I had during my recent Baguio trip. 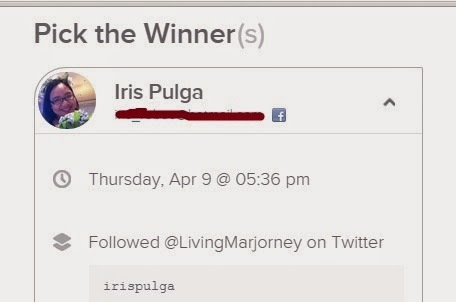 But before that let me announce the WINNERS, yes we have TWO winners for the Precious Hearts Giveaway. 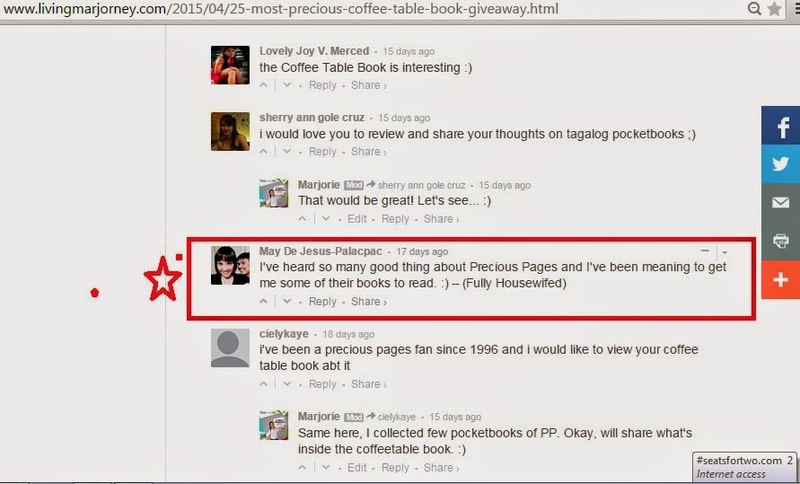 The winner via RaffleCopter will receive the P500 Precious Hearts Gift Certificate as promised. The second winner is the TOP/Best COMMENTER will receive a SURPRISE GIFT PACK from Woman-In-Digital. I love surprises and I know most women do. 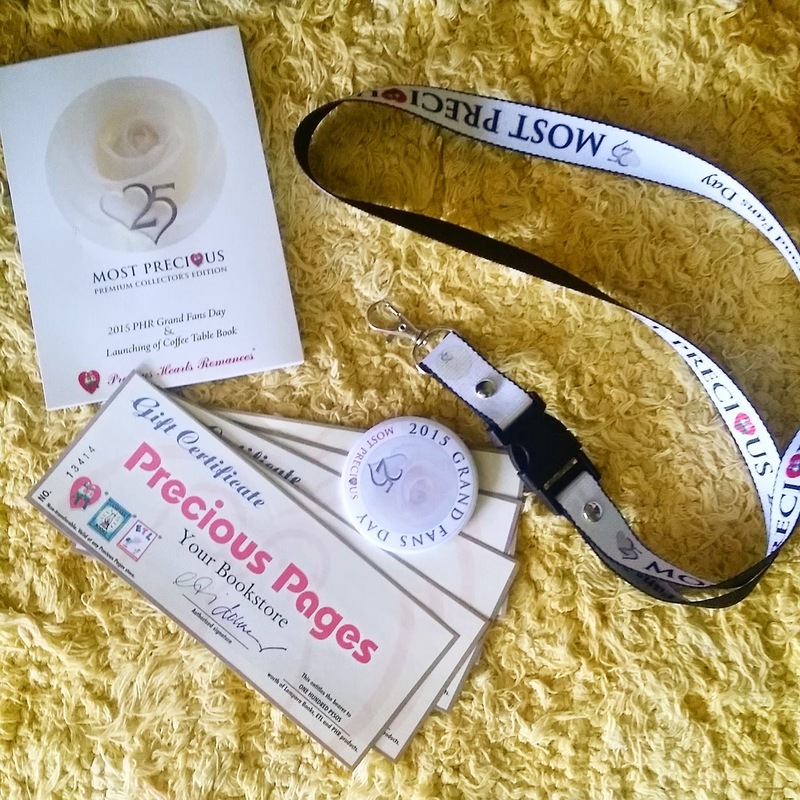 Remember, we also gave another surprise gift during the launch of Woman In Digital online contest. The winner was very happy to receive beauty products, I call it "Bagong Ligo" kit! Thank you to all who joined and followed me @LivingMarjorney. Stay tuned for another giveaway, I have lots of items to be given away soon.